These versatile panels are ideal when only a limited number of electrical circuits are needed, or for larger systems where their modular design makes for an easy and attractive expansion of existing system capacity. 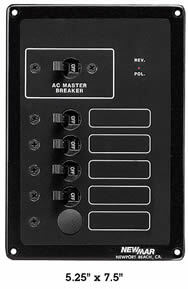 Stock panels with breakers installed come standard with DC indicator lights, but may be specially ordered with AC indicator lights. 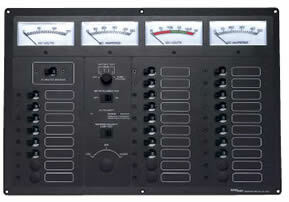 Blank versions of the panels have all necessary hardware to install indicator lights and breakers. 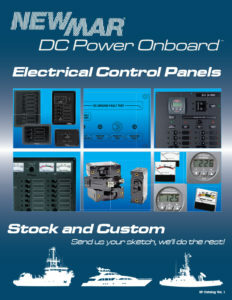 All panels are provided with a circuit identification label set of 22 common on-board electrical functions is provided. 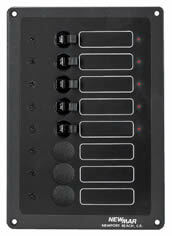 Other more extensive label sets (up to 206 functions) are also available separately. 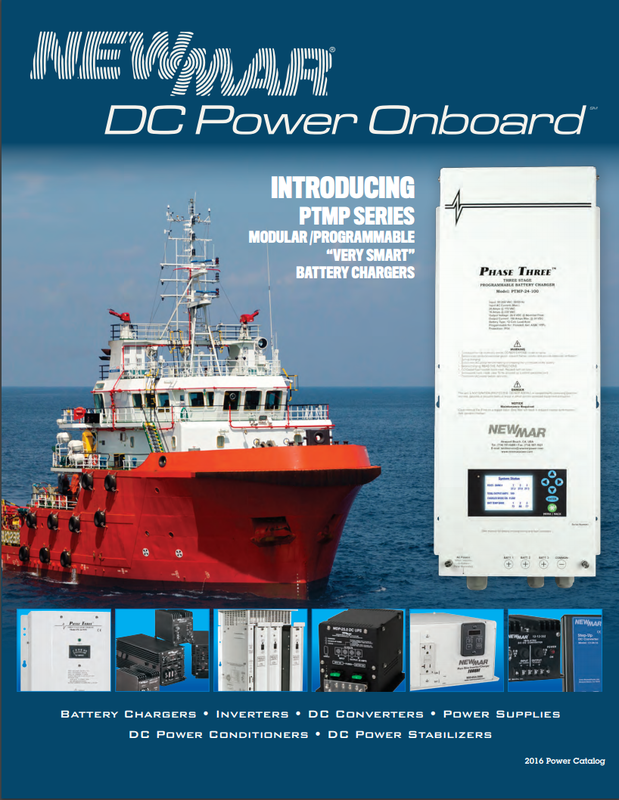 Essential control/protection whenever AC from shorepower or generators is on board. 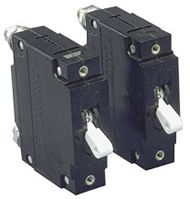 A double pole master breaker with power on indicator light protects both hot and neutral legs of the AC circuit. 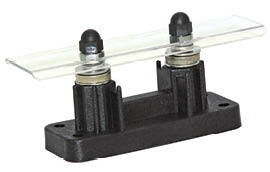 A reverse polarity light provides clear warning when wiring is reversed and poses a shock hazard. 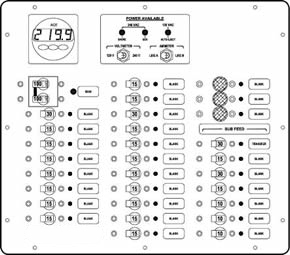 Single pole branch circuit breakers (Model AC-IX) and individual “ON” indicator lights provide control and protection of various AC loads. For 115/230 VAC applications – see ratings note*. A label set of common on-board circuits is provided. Built as Shown or Customized to Any Specification.